Robert De Niro at the Women Walks Ahead premiere. Every bit of new information about Warner Bros.’ upcoming Joker standalone movie set in a universe separate from the rest of the DCEU makes the project sound even more peculiar...and potentially interesting. This is a perfect example. 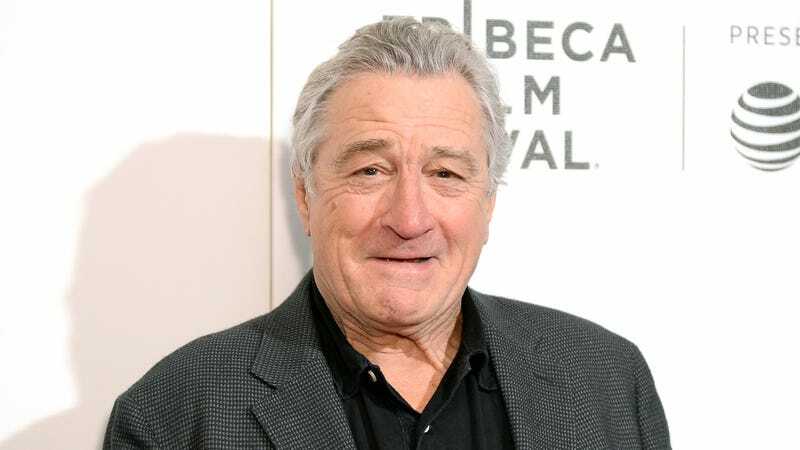 According to the Hollywood Reporter, Robert De Niro is in talks with the studio to join Joaquin Phoenix in the Joker film, playing the host of a late-night talk show who comes to play an instrumental part in the Joker’s origins. While that doesn’t quite map on to the character’s comic book origins, it makes sense that the film, set in the ‘80s, would incorporate a Johnny Carson-like figure in the Joker’s life; perhaps he’ll first meet him his early days of trying and ultimately failing to become a stand-up comedian. One can only imagine how bombing on live television might impact the Joker’s psyche and push him to a dark and twisted mental space, but just how De Niro’s character could factor into the movie is still up in the air.